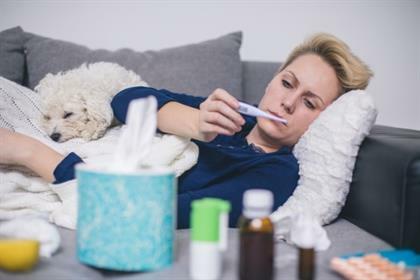 If you have the misfortune of coming down with the flu, you can blame your own body for your fever, cough, muscle aches and head-to-toe distress, experts say. Most of the misery is caused by the human body itself, or more precisely the immune system's response to the virus. "Many of the things that feel bad are the body's attempts to get rid of the pathogen that's causing the mischief," said Dr Alan Taege, an infectious disease specialist with the Cleveland Clinic. When your body has prior experience with a flu virus, it already knows how to send the right antibodies out to fight off the bug, Dr Taege said. In those cases, people might not even notice they've had a brush with influenza. And that helps to explain why this year's flu season (in the USA) has been so severe – many Americans haven't had enough prior exposure to the H3N2 flu strain that's causing such havoc, doctors say. In South Africa, influenza circulation is highly seasonal and happens during the winter. Flu kills between 6 000 to 11 000 South Africans every year. About half of those deaths are in the elderly, and about 30% in HIV-infected people. According to Dr Gregory Poland, a vaccine expert with the Mayo Clinic in Rochester, Minnesota, "As a result of fighting off the infection, our body releases an army of chemicals, and those are meant to stimulate the immune system. Think of them as chemicals released into the blood to flog the immune cells of the body to rev up, divide, and attack these viral infidels." Cytokines also cause inflammation throughout the body, and that inflammation leads to many of flu's most wretched symptoms, Dr Poland and Dr Taege said. Inflamed air passages produce mucus, causing a runny nose, coughing and sneezing. Dr Taege likens this inflammation to your skin's response to a very hot object. You feel pain, and the place that's been seared will turn red and possibly blister. Over a few days, the burned spot starts to calm down and heal. Once you have conquered the virus, the immune response to the invader calms down and the body returns to normal – making you feel a lot better.